Infrastructure Victoria has today released a draft of Victoria’s first ever statewide, cross-sector infrastructure strategy for the next 30 years. The draft strategy, now open for consultation, takes the unprecedented step of looking at every aspect of infrastructure for the state across nine sectors covering everything from education to transport, telecommunications, energy and justice. The independent authority has put forward 134 recommendations worth around $100 billion to address the current and future needs of generations of Victorians across metropolitan Melbourne and regional Victoria, with 70 per cent of recommendations having statewide relevance. 1. Increasing densities in established areas to make better use of existing infrastructure. 2. Introducing a comprehensive transport pricing regime to manage demands on the network. 3. Investing in social and affordable housing for vulnerable Victorians to significantly increase supply. These recommendations have the potential to transform the economic and social fabric of the state over the coming decades, making Victoria a fairer, more productive and more sustainable place to live, work and do business. "Meeting this need would involve significant investment over time. Infrastructure Victoria believes government should aim to significantly increase the supply of dedicated affordable housing over the next ten years. Further work is required to confirm the quantum of new affordable housing. This housing could be provided by the private sector through mechanisms activated by government or through direct government provision of new social housing. While it is unlikely government will ever fully meet demand, a concerted effort is required at the very least. State government has a leadership role to play in meeting the housing challenge, but it will need to partner with the Commonwealth and local governments and the private and community housing sectors to achieve the best outcomes." 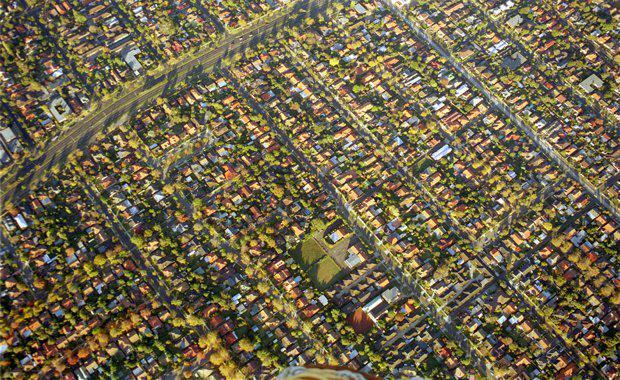 Aerial view of Melbourne suburb, Malvern East, Victoria, Australia. "General government revenue, through a mix of federal and state revenue, will continue to be a major source of funding for public housing refurb/rationalisation and affordable rental housing provision, but there are potential additional funding mechanisms. Property development should be considered, including examining opportunities for selling or providing development rights to deliver a combination of social and private housing, with the new social housing stock returned to the state. Leasing parts of premises within or around the public and social housing should also be considered. ""With the best information that we have been able to obtain, we believe that the provision of approximately 30,000 new dedicated affordable dwellings could be an appropriate infrastructure response to contribute to the current unmet demand for access to housing." 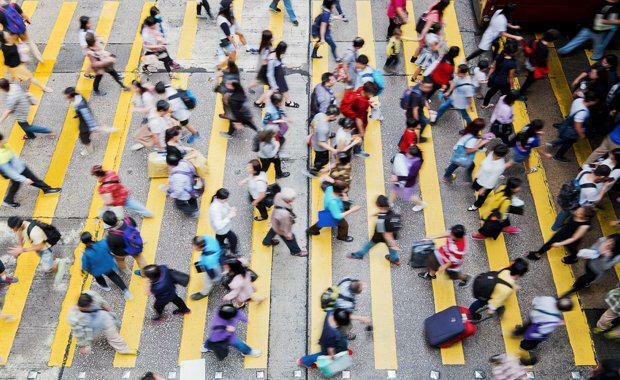 "How the Victorian Government can better manage the spatial and infrastructure implications of high population growth. Providing more infrastructure in areas where it is needed is clearly a big part of this story. This is particularly relevant in Melbourne’s outer suburbs and peri-urban areas to improve access to jobs and services for the people who live there now, and in the future, and to ensure Melbourne’s famed ‘liveability’ is shared by all." "Many of the recommendations to improve access to middle and outer employment centres under Need 11 would also help support these communities. However, there is potentially much greater opportunity for land use planning controls to direct future housing to areas that already have good access to infrastructure, particularly in Melbourne’s eastern and southern suburbs, and to unlock urban renewal sites in the central city with catalyst transport infrastructure. Increasing densities closer to the city, train stations, transport corridors and major employment centres can be challenging, but we believe it is the most sustainable and equitable solution to managing high growth. It’s also likely to save infrastructure costs." "In developing the strategy, we have considered the best available evidence about the likely pathways to a driverless future. This indicates that by the halfway mark – about 15 years out of our 30- year strategy – reasonable uptake of driverless vehicles that may begin to aff ect transport patterns is possible. We’ve used this as a guide to frame our recommendations, including identifying transport pricing reform as an essential step ahead of this occurring to get the most efficient use out of these new technologies." "When looking at different ways to fund infrastructure, government needs to strike a balance between raising revenue, using infrastructure efficiently and encouraging a productive economy and inclusive communities. Continuing to increase or levying multiple taxes and charges on selected groups in the community can create disproportionate or unfair financial burdens. In assessing ways to fund infrastructure, we refi ned our principles following consultation. • align the cost of infrastructure with users and those who privately benefit from it." "The wide benefits of more 'green' infrastructure include:• creating space for activity to address obesity and diabetes rates and reduced fitness, particularly in young children• creating space to address social exclusion, noting the ageing population and the increasing importance of positive mental health• opportunities for walking and cycling for transport• providing shade to mitigate the ‘heat island effect’ to address the challenges of climate change and heat-related death• protecting and enhancing natural environments and supporting biodiversity by providing the critical connections within and between ecosystems • reducing emissions and addressing air quality, including acting as a carbon sink• providing a more efficient and effective means of managing stormwater to protect against flooding• delivering energy savings through natural temperature regulation. Because of the multiplicity of benefits, there is no clear ownership for this infrastructure, despite the efforts of some local governments to take the lead in this area. Accordingly, the delivery of green infrastructure can often be ad hoc and opportunistic, rather than strategic and holistic. Green infrastructure should be considered alongside any other infrastructure (or network) planning in urban environments. It has been specifically recommended for a couple of needs and could help support a number of others. Necessary f rst steps would involve creating a plan in consultation with local government identifying opportunities and priorities for investment." "At their core, the recommendations recognise that, with increasingly high costs of land, construction and maintenance and changing population profi les, more shared and less single use spaces will be required in the future. Sometimes, the complexity of joint planning and managing spaces makes it seem easier for all parties to just go it alone. However, investing in community spaces that meet the needs of just one group is unlikely to be viable in future."